There are certain characteristics of the mackerel species that make it difficult to tell the difference between the Spanish mackerel and juvenile kings. However, it’s this difference that is very important to anglers aiming for a specific catch. Read on for a few identifiers to help you on your next mackerel fishing trip! There are a few defining features that make it easier for anglers to recognize their specific catch. 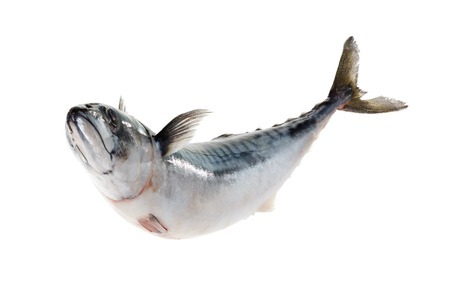 The Spanish mackerel displays a light-green on its back and silver on its sides. Placed on top of that silver are yellowish spots and a lateral line that slopes from the gills to the tail. Their dorsal spine is usually fully black or very dark in color. The more iconic fish among the species, a king mackerel will display a deep olive green on its back with iridescent sides and a white belly. Their long and slim bodies feature a lateral line that makes a steep dip on their side before reaching their forked tail. The dorsal spine of a king is light in color and is more relaxed when compared to the dorsal spine of a Spanish mackerel that stands straight up. Where anglers become confused is with the yellowish side spots that can appear on younger king mackerels. They are fooled into thinking that it is a Spaniard. No matter which fish bites, we can assure you that they both make for a victorious catch and an even better meal to celebrate. You can aim for this game while aboard the Triple Trouble. Captain Chad and his crew are experienced in successfully helping guests achieve their perfect catch, especially with those sharp mackerel teeth! And lucky for you, the king mackerel are among the most popular game fish in the Gulf. Give Capt. Chad a call at 256-431-5767 to schedule your charter trip today!